Struggling department store chain Debenhams has issued another profit warning as its sales continue to fall. In a trading update, the retailer said the forecast it made on 10 January, when it said full-year profits were set to hit analysts’ expectations of about £8.2m, was “no longer valid”. Like-for-like sales at the firm for the 26 weeks to 2 March were down 5.3%. 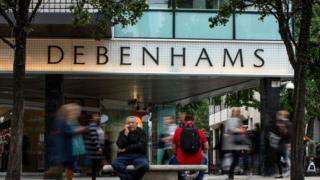 Debenhams said talks with stakeholders to put it on a firmer footing were “continuing constructively”. The retailer, which issued three profit warnings last year, said it would provide a further update with its interim results statement. 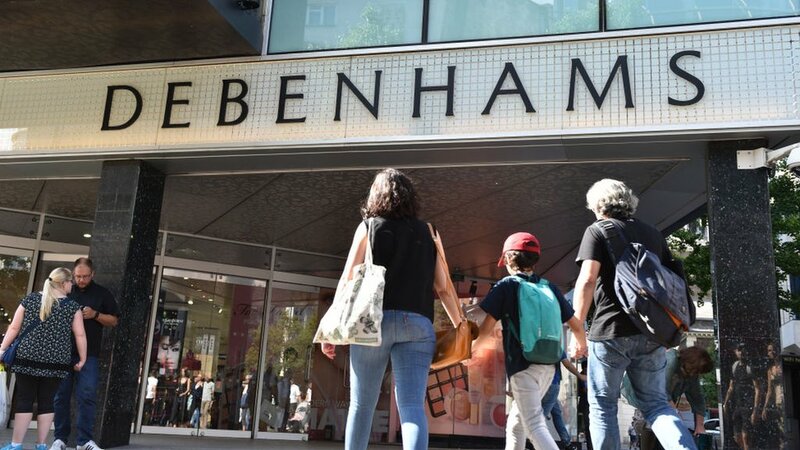 Sergio Bucher, the chief executive of Debenhams, said: “We are making good progress with our stakeholder discussions to put the business on a firm footing for the future. He said the business would need the help of landlords and local authorities to address rent and rate levels and lease commitments. Oddly timed announcements to the stock exchange normally do not contain good news – a market maxim that Debenhams, the beleaguered department store chain, proved this morning. Companies generally make their statements at 7am on the dot, exactly an hour before the start of trading. Debenhams made this morning’s announcement 45 minutes later, giving the impression that the statement had to be rushed out. There is a profit warning – perhaps not that much of a surprise given the uncertainty surrounding the company, and the bleak trading conditions across the High Street – but there is also a coded admission that the company is looking in earnest at a sweeping financial restructuring – a debt-for-equity swap, where shareholders are wiped out and lenders take control, or a company voluntary arrangement, a form of insolvency that lets a company get rid of unwanted liabilities such as pensions and long-term leases. Of the two, the latter is more likely; Debenhams’ equity – the total value of the shares listed on the London exchange – is just £36m. A month ago, the department store chain said it had been granted a cash injection of £40m to buy it extra time as it battled to secure a longer-term deal with lenders. At the time, the company called it a “first step” towards a sustainable future. It is also reportedly trying to accelerate plans to close stores and is expected to close around 20 outlets this year. Laith Khalaf, from stockbrokers Hargreaves Lansdown, said: “Debenhams’ future is hanging in the balance, and with short sellers circling too [share traders who believe the shares have further to fall], we can expect share price movements to be volatile. Debenhams – which has 165 stores and employs about 25,000 people – reported a record pre-tax loss of £491.5m last year and said more recently that sales had fallen sharply over Christmas. Last year, rival department store chain House of Fraser fell into administration before Mike Ashley, the billionaire Sports Direct founder, bought its assets for £90m. Mr Bucher is chief executive of Debenhams but no longer sits on the board.